Dr. McComb grew up in a small community in upstate New York. He received his B.S. in Biology from Utica College, and his DVM from Cornell University in 2006. Since that time he has worked in a variety of positions in Florida, Georgia, and North Carolina. In 2010 Dr. Comb began to focus his career on small animal medicine. In 2013 Dr. McComb and his family moved to Mt. Airy where he has continued his interest in small animal medicine. Dr. McComb and his wife Alejandra have three children, 4 chickens and 2 cats, and he enjoys spending time with his family and enjoying the parks and trails in Mt. Airy. 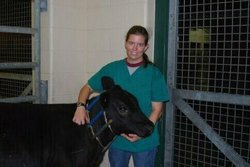 JoAnne grew up in Max Meadows, Virginia working with beef cattle on the family farm and caring for many various companion animals, which sparked my interest in veterinary medicine. 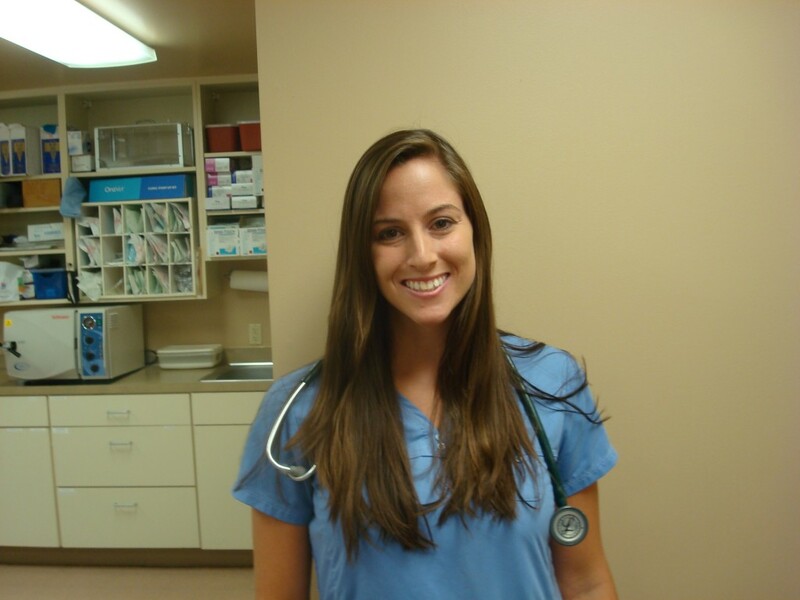 She attended Virginia Tech for her undergraduate studies in Biology and Animal Science, then went on to veterinary school and graduated with honors from the Ontario Veterinary College at the University of Guelph. She is interested in the medicine and surgery of both large and small animals. In her free time, she enjoys outdoor activities such as camping, swimming, hunting, spending time with loved ones, and running with her rescue Lab, Deuce. She also has three adorable cats named Bella, Silas and Gunnar. Dr. Rob Meinecke, the son of a veterinarian, was born and raised in Arkansas. He completed the pre-vet curriculum together with a BA degree in Psychology at the University of Arkansas before enlisting in the US Army in 1971. He served in the Army Security Agency and the Field Artillery until 1975. He then returned to school, at Kansas State University, where he earned a BS degree in Agriculture and, in 1980, his DVM degree. Dr. Meinecke spent the next 29 years in private practice in Galax, Virginia, where he pursued his love of both farm animals and companion animals. Dr. Meinecke lives on the New River in Grayson County with Harriet, his wife of 40 years. The Meineckes have three sons, one daughter, a foster son, two grand children, and a host of dogs, cats and horses. 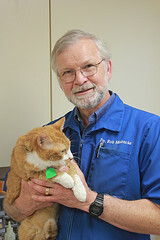 Since July 2009, Dr. Meinecke has provided relief services in several veterinary hospitals in the piedmont and sandhills regions in North Carolina. 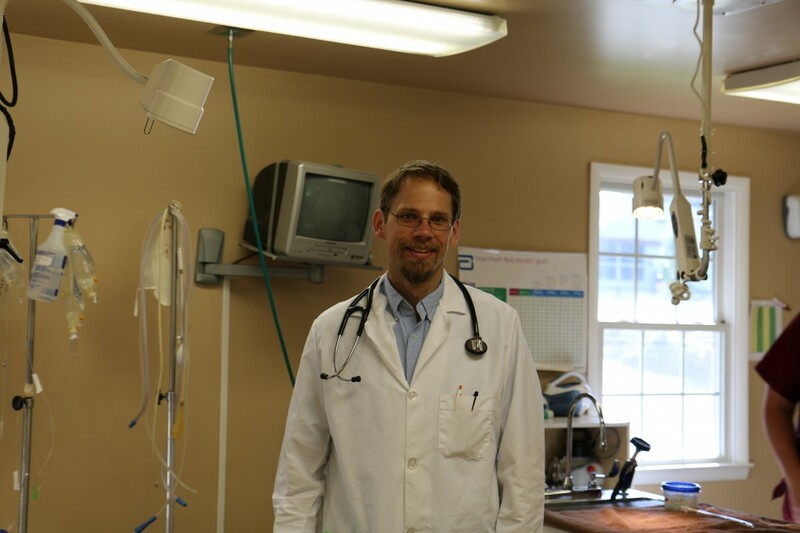 In July 2012, he returned to Galax and now works Wednesdays, Thursdays and Fridays at Galax Veterinary Clinic providing small animal medicine and surgery services.